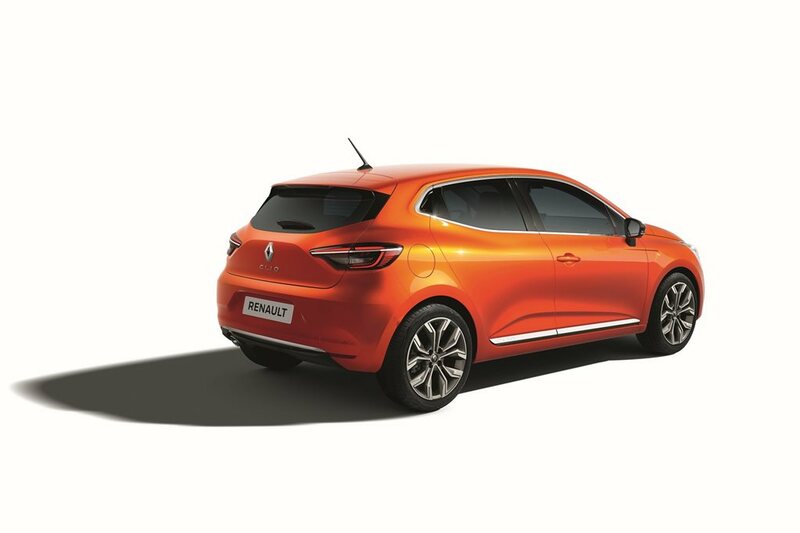 Yesterday we saw the inside, and today Renault has unveiled the outside of the forthcoming Clio small hatchback. The Clio, which battles against compact hatchbacks including the Toyota Yaris, Suzuki's Swift and the Honda Jazz, has – like many of its rivals in the larger hatch class – stepped things up on a presentation front, as car companies work hard to bring a sense of premium to the affordable. Renault Australia has confirmed, too, that we’ll see the new Clio – including a new variant called the RS Line – here in 2020. Underpinning the fifth-generation French-made hatch is a new flexible platform that is the first for the Nissan-Renault-Mitsubishi Alliance. Not only will it be lighter, larger and stiffer, Renault says it’s ready for electrification and autonomous driving tech to be added as required. We can also expect it to underpin cars like the next generation Captur and Kadjar SUVs, as well as replacements for Nissan's ageing X-Trail. Design-wise, the new Clio is not a million miles away from the current model, but it is 14mm shorter and 30mm lower, according to Renault. Improved aerodynamics will help to trim fuel consumption, while all cars will score LED headlights. The boot has been enlarged to 391 litres – up from 300 in the current car - partly through a redesign of the audio system and partly down to the use of a double floor. As we revealed yesterday, the interior treatment has been stepped up for the new car, including the introduction of a digital dash and large central multimedia screen, as well as the use of higher quality materials in obvious spots. There's a new, smaller steering wheel (thanks to a smaller airbag), while a taller centre console also means that the shifter is shorter. Nothing’s been announced around timing, pricing and specs for Australia, but Renault did announce that it will phase out the GT Line variant, in favour of something it’ll call the RS Line. We wonder if rival Peugeot – who also offers the GT Line across most of its models – had anything to do with that. Mechanically speaking, expect the Clio to use a 0.9-litre three-cylinder turbo petrol engine, along with a 1.3-litre four-cylinder turbo petrol motor. We also expect the RS to stay with a 1.6-litre turbo, but there’s a good chance it could get a dose of 48-volt hybrid goodness to boost its bottom line. More will be revealed at the Geneva Motor Show in early March.